Here you can learn all you’ll ever wanted to know about swedish snus. 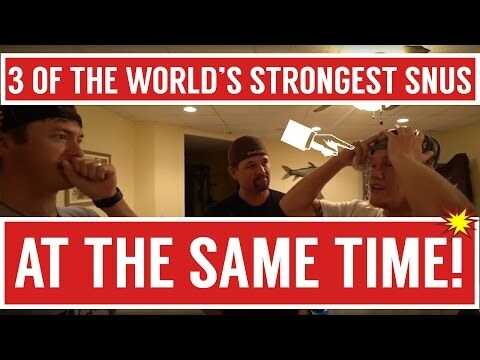 Maybe you want to find out which is the strongest snus out there or you are just curious about snus in general. Here you’ll find information about all aspects of snus. 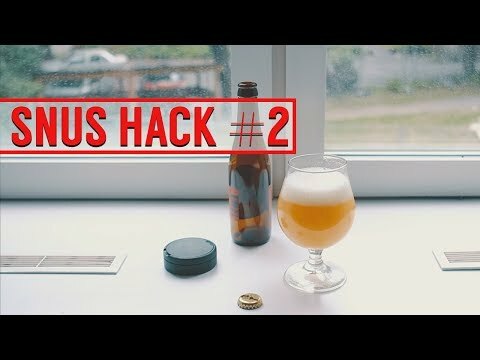 Everything from what snus is to snus videos. Enjoy! Swedish Snus is a moist ground tobacco product originating from a variant of dry nasal snuff in early 18th-century Sweden. 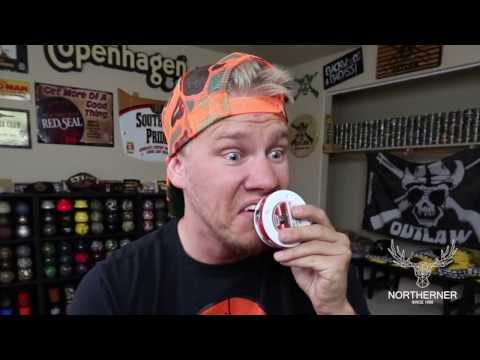 Snus unlike american snuff is placed under the upper lip between the top lip and your gums. Snus is a spitless tobacco product so no spitting is required when using it. You can have a snus in between 30-60 min before it starts to drip and loose its flavor. First the raw tobacco is ground in to a flour like powder then water and salt is added while stirring the mix. The mixture is then heated in a process much like pasteurization (steam-pasteurization). This is done to render microorganisms harmless and to elongate the sustainability of the product and to enhance the flavor. After this process is done the mixture is cooled down and the rest of the ingredients are added. A final quality control is made before the snus is packaged to make sure the products quality is up to standards. Depending on if its a loose snus or portion snus the steps from here are a bit different. Loose snus is packed directly into cans while portion snus needs a bit more work. The portions are measured up and put into a cellulose fiber “sock”, same type that is used for tea bags. Then the snus portions are sealed and cut apart and are now ready to go into cans. Swedish snus is treated like a food product in Sweden, and the Swedish Food and Drug Administration monitors all snus. Europeans first came in contact with tobacco in the caribbean, on the island Hispaniola (now called Haiti). Columbus and his came a shore on the island in october 1492. On the beach they were greeted by natives with gifts. Among the gifts there were dry leaves which the natives regarded as very valuable. Back in 1497 the munk Ramon Pane came in contact with the precursor of snus when he accompanied Columbus on his second trip to America. There he saw indian priests sniff a powder up their nose through a fork-shaped pipe. According to scientists the powder most likely consisted of more than only of tobacco, but the actual snuffing became important for use of tobacco when it was introduced to Europe. Spanish and Portuguese sailors brought the tobacco plant to Europe. In the mid 16th century, doctors in Lisbon started to use the herb for medical purposes. They thought that it could for example cure syphilis and cancer. They cultivated the tobacco in their back yeards. In the 16th century, nasal snuff, the precursor of snus, was introduced to France by French diplomat Jean Nicot. He recommended snuff to Queen Catherine de’ Medici as a migraine remedy. When she became a regular snuff user, it became a fashion among the court and upper-class citizens of France. It became popular especially among females, as it was deemed more socially acceptable than other forms of tobacco. The trend of using nasal snuff spread to Sweden at the beginning of the 17th century. In the 19th century, Swedish farmers started to grind their own tobacco leaves in their coffee grinders, and added salt and water to it. That’s when snuff became snus. Swedish snuff producers also began to manufacture moist snuff, which is placed under the upper lip and doesn’t require spitting. Ettan which means «number one» was registered in 1822, and it’s the oldest brand of snus still sold. The ingredients of Ettan Snus are simple – tobacco, salt and water. And this is the way it’s been since Jacob Fredrik Ljunglöf launched his snusmix “Ettan” back in 1822. This was long before the snus cans were invented so the snus was delivered in paper cones. This mix of unseasoned tobacco spread fast through Sweden. The manufacturer of Ettan loose today, Swedish Match has given the snus some notes of smoke, malt and with hints of dark chocolate. This however does not change the classic and characteristic tobacco taste of Ettan. General Snus was launched back in 1866 but it all began 4 years earlier. Snus manufacturer Johan A Boman had a goal to make what he called the perfect snus. It took him 4 years of research and development to reach his goal. He traveled the world in hopes of finding the best tobacco leaves, and he started to experiment with different leaf combinations. The result, a tobacco blend of 22 different tobacco varieties, and a drop of bergamot oil. The classic General Snus was born. In 1973, the product developers at Swedish Match created a snus flavored with whiskey, it came in portion bags that were not very different from tea bags. These small snus portions were then packed in a petite plastic bag. This product unfortunately failed, and the brand was withdrawn from the market. However, studies showed that many had been positive about the new way of using snus, but were not very impressed by the bags themselves. This spurred Swedish Match to further developed the idea and in 1977 a breakthrough was made. The breakthrough was Tre Ankare – the first portion snus on the market. Tre Ankare laid the foundation for all portion snus you see today. Unfortunately, most people in the world do not know that nicotine and tobacco in itself are not what causes disease, suffering and death. The big problem is the gases that are formed when a cigarette is ignited and inhaled. In short: Smoking kills. Snus does not. Instead, it is about how the tobacco is consumed. There are currently around 1.2 billion daily smokers in the world. Smoking cigarettes annually causes approximately 7 million premature deaths at a cost to society of $ 1,100 billion according to the World Health Organization (WHO) report from 2017. In Sweden, despite very low proportion of smokers, smokers cause approximately 12,000 Swedish deaths per year to a social cost of about SEK 30.5 billion according to the state social welfare and cancer fund (2017). The number of male smokers in Sweden is the lowest in the EU and throughout the traditional industrialized world. According to the EU’s Eurobarometer, it was only 5% 2017, while the European average was 26%. Sweden also has the lowest rate of tobacco-related mortality in the EU. The main reason for this is that the Swedes use snus to a much greater extent than cigarettes. In Sweden, almost every fourth man is using snus and about every twenty-one woman. New statistics from Statistics Norway (2018) show that smoking, especially among younger people, has fallen dramatically over the last few years, while the use of snus has increased. The proportion of smokers among 16-24 year old women has fallen from 17% in 2008 to 1% in 2017, see chart, a decrease of 94%. A study published in the journal Tobacco Reporter 2017 found that ignorance of what is most dangerous in connection with smoking leaves much to be desired. Less than 10% of respondents in Britain responded that damage from smoking is not from the nicotine. In a survey made 2017 by FDA Tobacco (Food and Drug Administration) in the USA the following question was asked: «Do you think that some non-smoking tobacco products, such as chewing tobacco and snuff (smokeless tobacco) are less dangerous than cigarettes», only 11% answered yes. The correct answer is that all smokeless tobacco is significantly less harmful than smoking cigarettes. Snus contains finely ground pasteurized tobacco, water, salt and flavors. Cigarettes also contain tobacco but the difference is the approximately 7000 substances that cigarette smoke contains and the smoker inhales. Many of these substances are highly carcinogenic, but in addition to that the smoker also inhale tar. In the case of snus, no lungs or other organs in the body will be affected, as no ignition and inhalation occur. In September 2017, the largest Meta-data scientific study in the world, The Global Burden of Disease Study, was published in the medical journal The Lancet. The study includes data from 27 years of scientific studies and a total of 174 countries. For the first time in the history of the investigation, the different types of smokeless tobacco were distinguished. The conclusion was that the use of snus gives 0% increased relative risk for all diseases, including all forms of cancer, compared to people who do not use snus at all. See the quote from the survey in the image below. Snus is not completely harmless and therefore has an 18-year limit for sale just like any other tobacco product. The product Swedish snus is the oldest and most well-researched alternative to smoking in the world. The Royal College of Physicians in Britain estimates that Ecigarettes are at least 95% less harmful than smoking, while snus is judged to be even less harmful. Snus should not be used by pregnant women as there is a certain increased risk of elevated blood pressure, etc. Snus can also cause irritation and minor damage to the mucous membrane (snus lesions) and gums. However, a Swedish patent-approved manufacturing method seems to be able to counter these. Snus lesions, pits in the oral mucosa, are reversible i.e. they disappear after a few months if the person stops using snus. However, gums can not be recreated. None of these problems, however, pose a risk to public health. In Norway snus has become extremely popular and the more the consumption of snus has increased, cigarette smoking has decreased. The proportion of men using snus in Norway in 2017 was 17% while the proportion of women using snus was 6% according to Statistics Norway in Norway. The proportion of smoking women in total has fallen from 21% in 2008 to 10%, a decrease of 52%. The proportion of smoking men has decreased from 21% to 12%, a decrease of 43%. This is amazingly good figure for public health in Norway and probably lack equivalent in the world. What scientists around the world today discuss are harm minimization. It is naive to believe that everyone can quit smoking directly by prohibition, price increases or tobacco control. Switching from life-threatening smoking to significantly less harmful alternatives such as snus or e-cigarettes is therefore a benefit for both the individual and public health. One of the more common arguments for maintaining the ban on snus is that snus, if allowed to be sold in other EU Member States, would be used by non-smokers, thus becoming a so-called gateway to conventional tobacco smoking. Karl Erik Lund, head of the tobacco research at the Norwegian National Institute of Public Health in Norway, has studied snus habits in Norway in a study, and the results show that the majority of snus users are former or present smokers. In Sweden, Dr Lars Ramström, together with several international researchers, analyzed the results in Swedish public health surveys conducted by the National Board of Health, including a period of approximately 25 years and about 20,000 participating Swedish women and men each year. The results show that 86-87% of men and women who used snus daily are former smokers who quit smoking for good. The study also shows that snus is not a so-called “gateway” to smoking. On the contrary, about 1/3 of the former smokers who have switched to snus have subsequently terminated with all the use of nicotine products i.e. even with snus. One thing many often forget is that nicotine gum, nicotine patches, nicotine spray etc. in most countries can be sold everywhere, without prescription and marketed on tv and in newspapers without any problems while marketing of snus is completely forbidden. The only “problem” with this may be that only a few percent manage to quit smoking using these, in comparison to snus, relatively expensive products. The chart below shows the development of the proportion of smokers and snusers in Norway in recent years. Source: Statistics Norway, Norway. It is primarily the young generations in Norway who smoke to a lesser extent but instead transition to snus. The diagrams shows the different age ranges. Source: Statistics Norway, Norway. Manufacturers have chosen different ways to tackle the world of tobacco free and nicotine free products. The products on the market have very different tobacco substitutes as their base. Here are a few variations of tobacco substitutes used in tobacco free and nicotine free products cellulose, plant fibers, green tea and carrot fibers, small strands of herbs, tea and apple fibers and semolina (durum wheat). The end results however are very similar, but in case you have allergies or doesn’t eat certain foods this might be something to keep in mind when buying these kind of products. A tobacco free product is basically just what the name suggests a product that doesn’t contain any part of the tobacco plant. There are 2 types of tobacco free products. The ones that contains no tobacco or nicotine, and then the ones that contain nicotine but no tobacco. The products that contain nicotine are often referred to as nicotine pouches or nicopods. Depending what type of product you are looking for this can be good to know. Nicotine free products doesn’t contain nicotine or any part of the tobacco plant. So if you are looking for a product with neither tobacco or nicotine it’s best to look for nicotine free products rather than tobacco free. In most cases it’s the same kind of products but with a few exeptions such as nicotine pouches. Nicotine pouches contain nicotine but no tobacco. Just keep that in mind if you are looking for a product that is free from both. “320 000 LIVES CAN BE SAVED!” Since June 2017, Northerner.com stopped selling Swedish snus to the EU. But Swedish snus has in fact, been banned for sale in EU since 1992, except for in Sweden. The ban is now in the hands of the Court of Justice (ECJ), and April 12th we will know if the law will be revoked or not. Final judgement on snus in EU will be made by the ECJ in 2-5 months. Bengt Wiberg, the founder of Sting Free Snus and #EUforsnus is deeply involved in the process and have been fighting for the right of using snus in EU countries since the last months. It’s a long story involving a US smokeless tobacco product aggressive marketing towards youth in UK in the beginning of the 90’s. Scotland protested and got the European Union to ban snus completely in 1992 in all member states. When Sweden applied for membership in 1995 we insisted on a permanent exception from the snus ban for Sweden and we got it. Since the exception is permanent and written in the accession treaty of EU, there is no possibility to change that fact unless 100 % of all Eu members, including Sweden, vote for a change. Therefore, it is astonishing to read what Sweden’s minister of trade, Ann Linde, expressed in a Göteborgsposten (a major Swedish newspaper) interview, where she defends the reason why the Swedish government did not in any way support Swedish snus in the ECJ court case on removing the snus ban in EU. Her reply was “…because then we can’t be certain that we will be allowed to keep the derogation for snus. I refuse to engage in any action that may put Swedes right to use snus at risk.” Why is this not true? Because Sweden’s right to snus is written in the EU accession treaty that can only be modified if all EU countries, including Sweden, agree to change it. In the present EU Tobacco Directive implemented in 2016, the novel nicotine product E-cigarettes was approved while snus remained banned. I became involved in the consumer charity organization New Nicotine Alliance’s (NNA) challenge of the EU’s ban on snus a year ago. NNA is a court approved intervenor supporting Swedish Match fight for allowing snus in EU in court. NNA’s campaign shows that any group of consumers in the world can make a difference. Indeed, it was NNA’s upcoming hearing in the European Court of Justice (ECJ) in January 2018 that inspired me to set up a social media campaign #EUforsnus a few weeks earlier with the help of German friend and fellow snus enthusiast, Uwe Hille of Snusfreak.com. So, on January 24, the day before the snus trial hearing, Me and Uwe travelled to Luxembourg and met up with the representatives from NNA including its chairman Professor Gerry Stimson. NNA also had world renowned scientists Doctor Lars Ramström, of the Institute for Tobacco Studies, and Doctor Karl Erik Lund, Senior researcher of the Norwegian Institute of Public Health in place in Luxembourg. Both of them supporting the end of the EU snus ban due to the big public health aspects. Swedish Match also had the good company of several famous scientists during the trial hearing. The court hearing took some 4,5 hours and was fascinating. Months before the trial hearing, parties of the trial had submitted written statements of evidence and arguments that each party since had the availability to study. So did the judges of ECJ. At the court hearing each party got 15 minutes to verbally present their position. The parties were the EU Commission, EU Council, EU Parliament, the Norwegian and United Kingdom state representatives, Swedish Match and NNA. Since major new scientific evidence had showed up after submitting the original documents submitted to court, Swedish Match as well as NNA brought up the Global Burden of Disease Study published in the international journal The Lancet in September 2017. The scientific meta-study is one of the biggest ever conducted and covering many years of scientific data. A meta-analysis is a statistical analysis that combines the results of multiple scientific studies. 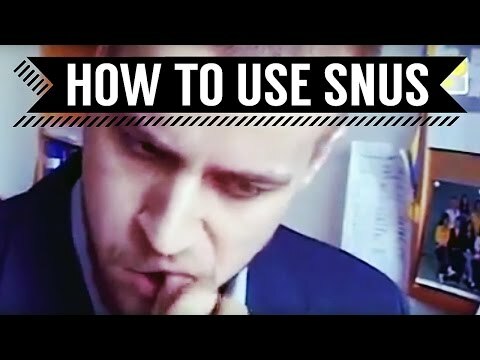 he study concluded that snus and snuff (nasal snuff) have 0 % increased risk for any health outcome, including all forms of cancers, as compared to people not using snus at all. After that the seven judges of the ECJ put questions to some of the parties. The judges were particularly razor sharp addressing the EU organizations legal representatives. One judge noted that there was a big discrepancy in the conclusions in the evidence offered by the EU institutions and the expert witnesses, and asked the EU Commission: “Should the Court conclude that you blend together evidence to find a solution more appropriate policy wise that accords with your view?” Another judge asked whether it might be politically difficult to lift the ban and asked whether that had colored the judgement of the institutions with regards to the scientific evidence. One judge questioned whether the institutions were supporting the ban because snus is harmful and addictive or because of a wish to ban nicotine. A judge proposed that snus could be sold in pharmacies only. The trial hearing was all in all filled with non-factual arguments from the opponents of removing the snus ban. I personally filled about 25 handwritten pages of notes and caught several outright lies from the institutions. The legal counsel for the European Parliament told the court that these dramatic falls in male smoking had nothing to do with snus (!). It was instead the result of “healthy living.” Meanwhile the European Council argued that “high levels of parental leave for men” in Sweden were reducing smoking as it meant men could not smoke as they were with their children. These remarks have never heard of before and totally lack scientific evidence. My thoughts went to the latest Försäkringskassan public statistics that shows that 75 % of Swedish children’s parental leave is utilized by the female parents. Another fact is that Swedish parental leave can be distributed, according to the parents’ wishes, during the child’s first 12 years i.e. from 0-12 years. The statement that Swedish men’s “healthy living style” is a major reason why they have almost gone smoke-free, and not snus, is not only untrue but also an insult to Swedish women. All this nonsense while scientists say “absolutely no doubt” that snus is a key factor in fall in smoking. Many experts, me included, who participated in the court judge that the chance that the court will abandon the snus ban in the EU is fair. NNA found in their arguments that “the right to health” and to be able to choose “significantly less harmful products” instead of cigarettes is a human right protected both by the World Health Organization (WHO) and EU law. Another argument rightfully used by Swedish Match is that the snus ban is disproportionate because Swedish snus is basically the only product containing nicotine, which cannot be sold in the EU. The #EUforsnus campaign is now present on Euforsnus.org, Facebook, Instagram, YouTube, Twitter and LinkedIn, Bengt says. The campaign on Facebook alone has close to 2 600 members from 90 countries, 44 per cent of these are women, and 68 per cent are 34 years old or younger. I think the younger generation doesn’t flatly fall for tobacco control’s blunt attempts to brand snus as dangerous and comparing it to cigarettes, when the facts are that smoking kills and snus do not. On 12th of April the European Court of Justice (ECJ) Advocate General, Henrik Øe will announce his preliminary decision on the question about ending the snus ban in EU. Henrik Øe is a highly experienced Danish lawyer, prosecutor, human rights head and former consumer ombudsman. The Advocate General has the highest juridical responsibility in the court case of the snus. He has a huge responsibility on his shoulders since there are about 100 million smokers of cigarettes in EU today that are discriminated from using snus as a method to quit smoking. There are also several hundred thousand of snus lovers already in EU who are forbidden to access the considerably less harmful smokeless tobacco product of snus. They final decision from the court will be made sometime during the period June-October 2018. I have been asked “what happens” if ECJ decide to end the snus ban in EU. According to a very experienced lawyer I talked to in Luxembourg, I’m not at liberty to say his name at this moment, it means the law on the ban will cease to exist. It would be removed from the EU Tobacco directive all together, as I understand it. This means that no EU membership state can forbid its citizens to buy Swedish snus online- or in any other way. This taking effect immediately and including all EU countries at the same time. This would be the greatest court decision for tobacco harm reduction ever taken in history. The reason being is that two independent scientific studies by professor Brad Rodu (USA) and the other one by Snuskommissionen (Sweden) shows that IF EU men would adapt the same tobacco consumption habits as in Sweden, i.e. using snus instead of smoking, over 320 000 EU citizens lives could be saved from premature death each year. Smoking caused sickness’s cause about 7 million deaths yearly at a cost to the world society of over 1 trillion $ (1 000 billion $) annually according to the latest WHO report of 2017. That’s the easiest question of all. Because snus saves lives and has to this date never taken a life! To deprive adult humans a product of outstanding less harm than cigarettes is in my opinion nothing else than “taking lives” deliberately. The EU institutions unspoken option to the EU population seem to be “Quit (smoking) or die” and thus skipping the fact that there are far less harmful alternatives available like e.g. snus or E-cigarettes! The common factors between snus and E-cig is that they both contain nicotine and are considerably less harmful than smoking. 2 billion people smoke cigarettes in the world according to WHO and a majority of these cannot manage to quit “just like that” without a safer and affordable substitute. Snus is the cause of what the scientific world call “The Swedish Experience” i.e. the main reason why Sweden has the lowest rate of male smokers in all EU as well as the lowest rate of tobacco mortality. I had the rare opportunity to ask the Director of FDA Tobacco, Mr Mitch Zeller, during the Global Tobacco and Nicotine Forum in New York City, the question what his thoughts were on the Swedish Experience of snus and he replied that “I hope it will be heard by everybody in this room, that FDA absolutely understands the Swedish Experience”, besides being one of the main reasons why snus is allowed in the USA. The whole thing was said in front of 350 directors from tobacco companies from all over the world and is available on here. The reason for snus being banned, and cigarettes not, in EU, is in my opinion purely political. If science facts alone would rule, snus would have been approved long ago since it is without any doubt whatsoever considerably less harmful than cigarettes. Finally, I would like to inform the readers that nicotine is not what kills people. Not tobacco in itself either. It is the smoking gases that are created when inhaling cigarette smoke that cause cancer and cardiovascular diseases and that cause sicknesses and death. To quote one of the most renown scientists in the world, Professor Brad Rodu. “Nicotine causes no disease relating to smoking or smokeless tobacco use”. Many people don’t even know this fact, yet they might think that nicotine gums, patches or pouches that are very expensive (compared to snus) are safer than snus when in fact they are similar and both considerably less harmful than smoking. Bengt Wiberg is a 60-year-old MBA and the inventor of Sting Free Snus. A brand-new design of the snus portion bag itself, adding a protective side that does not sting/burn or irritate the gums and oral mucosa. Last year, the invention became patent-approved in Sweden and now it is also patented applied for in the United States and in the rest of Europe. In September 2017, Sting Free Snus won the awards “Most exciting newcomer to the industry” and the “Golden Leaf Award” at the Global Tobacco and Nicotine Forum in New York City. The international jury’s motivation was that it is a great product of tobacco harm reduction since “the stinging sensation associated with snus acts as a deterrent to many would-be users” and that it “could easily be considered the greatest snus innovation since the invention of the pouch.” The sting-free snus has also attracted a lot of media attention in the last year in many big Swedish- and International newspapers like Aftonbladet and Tobacco Reporter. Swedish Match has signed a licensing agreement for producing sting-free varieties of snus, but do not have exclusive rights, why more manufacturers are expected to follow. The main difference lies in the manufacturing process, dip (also called American snuff) is fermented while Swedish snus is steam-pasteurized and then salt-cured. Swedish snus has a much lower amount of TSNA’s than American snuff does. Swedish snus is treated like a food product in Sweden, and the Swedish Food and Drug Administration monitors all snus. American snuff (dip) comes in many variations such as long cut, fine cut, wide cut, fat cut and pouches. The most commonly used version of snuff is long cut, which is a loose cut product that consists of small strands of tobacco. A pinch is put in the bottom lip, between the lip and gums. Snuff is not a spitless product, so many snuff users carry spittoons. Spittoon, also called spit cup is a portable, spill-resistant cup or jug shaped accessory for snuff and chew users. Swedish Snus comes in loose and portion format. There are several types of portions on the market such as white, black, dry white, perforerad white, original. They also come in different formats such as large, slim, super slim and mini. The loose format is pretty much the same except for the grind. There is fine grind, coarse, and ones in a while we see a long cut hit the market, but it’s rare. Long cut is cut tobacco instead of ground. The most commonly used version of Swedish snus is the white portion. The portion is placed under the upper lip, between the lip and gums. Snus is a spitless product, which means that it’s safe to swallow your snus juice. Snus is discarded ones used, usually in the catch lid of the snus can. Catch lids are a great feature. If you are not close to a bin, it’s not a problem, just pop your used snus in the catch lid and you can empty it when you do find one. Today the catch lids are a standard feature on all portion snus cans in Sweden. Loose snus cans doesn’t have catch lids, most likely due to loose snus being more of a mud like substance ones discarded. Because of that it can easily seep out of a catch lid. Some loose snus users keep an old empty can handy instead, and use that when to discard their snus in. On this info page you’ll find information about swedish snus. 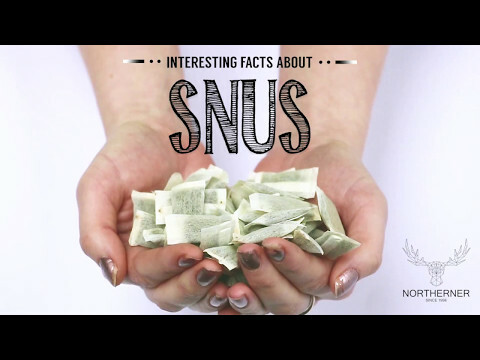 We didn’t want to keep all our knowledge about snus to ourselves, we want to share it with the world. We would like you to become an expert on snus. Are you up for it? Read all about snus history, strongest snus, how snus is made, tobacco free snus, nicotine free snus, snus types, snus brands, snus manufacturers and much more on this snus information page. Find out more about Ettan Snus, General Snus, Epok Snus, Jakobssons Snus, Siberia Snus and other popular Swedish snus brands. Check out snus videos and our snus gallery. Share information and let the world know all about Swedish snus.